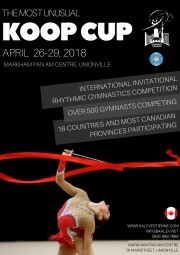 KOOP CUP Rhythmic gymnastics in Canada would simply not be, if it weren’t for the efforts of EVELYN KOOP. She is known as the “God Mother” of the sport in Canada and recognized as the one who brought this sport to Canada. In the forties and fifties, there were many ethnic groups in Toronto which started rhythmic gymnastics movements. Among them was the Kalev Sport Club, which had men’s gymnastics, folk dance and, so-called “modern gymnastics” on the program. Founder of the Ontario (1968) and Canadian (1971) Modern Rhythmic Gymnastics Associations, the creator of the “Four Continents Championships” and the crusader behind the sport’s acceptance into the Olympics, Evelyn Koop’s story is richly accented with experiences that originate in Sweden and span across the world. Trained at the Idla Institute of Physical Education in Sweden (under the direction of one of the international founders of the sport, Ernst Idla) and armed with a Canadian B.A., Mrs. Koop became a member of the Estonian Sports Club, Kalev, first as a gymnast, then as a coach. 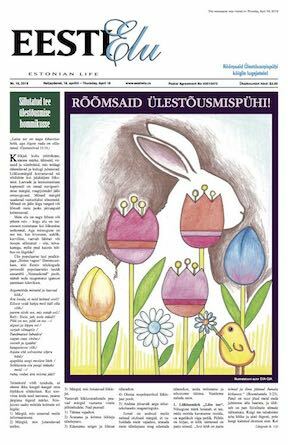 Out of this club, she organized the Kalev Estienne Rhythmic Gymnastics Club. The other “modern gymnastics” programs no longer exist, but Kalev Estienne marches on. In 1976, Evelyn was selected as a Member of the Technical Committee for the F.I.G..
Evelyn took Physical Education courses in Rhythmic Gymnastics, the so-called “Modern Gymnastics”, at the Universities of Toronto, McMaster and McGill, plus the University of Alberta and the University of Manitoba (with special thanks to Jack Kaplan), authored the books “Basic Modern Rhythmic Gymnastics” and “Judging”, and developed Technical Manuals and By-Laws for Modern Rhythmic Gymnastics. Evelyn has trained hundreds of teachers and instructors in the sport in Ontario, and created awareness of the sport through endless touring with gymnasts throughout Canada, the United States, South America and South Africa. It was a great honour for Canada when Mrs. Koop was given the task of introducing the sport to China. In May 1968, Evelyn was elected President of the Ontario Modern Rhythmic Gymnastics Association, and in 1971 was elected President of the National Modern Rhythmic Gymnastics Association; positions she held until 1983. She initiated the “The Maple Leaf” international meet in 1976, which was held four consecutive years. In 1978 she created the “Pan-Pacific Championships”, which later became the “Four Continents Championships” in Rhythmic Gymnastics. In this competition, Kalev’s Emilie Livingston won silver overall in 1997 (2 Gold, 1 Silver and 1 Bronze). That year, Emilie was the only Canadian with an overall medal. This was done to give Canadians an opportunity to achieve higher honours than possible at the World Championships. For the same reason in 1991, Mrs. Koop began an international invitational competition, for which she was honoured by the Canadian Gymnastics Federation by naming the meet, “Koop Cup”. Martens from her Ontario club, Kalev, as Canada’s only competitor in Rhythmic Gymnastics. In Sydney in 2000, Kalev’s Emilie Livingston represented all of The Americas. In addition to being a Brevet Judge since 1971, Mrs. Koop is also a lifetime Honorary Member of F.I.G. (Federation International Gymnastique), a coach (Level 3 plus Level 4 technical), choreographer, administrator -- and volunteer extraordinaire. 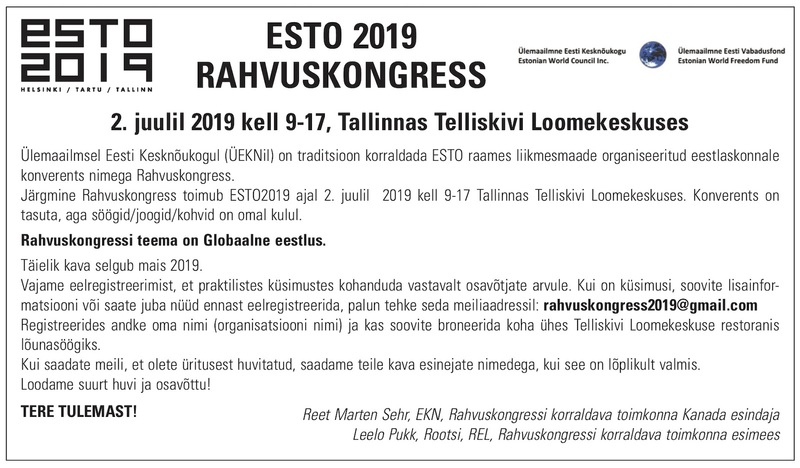 KALEV ESTIENNE is now the umbrella organization for four different Rhythmic Gymnastics Clubs, one of the most recent being the “Kalev AGG Academy”, which began in 1995 as a Rhythmic Dance company. It was when Evelyn was able to realize and old dream: to create a company that could lift the sport to levels where it would be recognized as one of the Performing Arts. It would also mean returning to the roots of the sport: the rhythmic group performance, now called Aesthetic Group Gymnastics. Kalev has one of the most successful AGG Teams in Canada - the top team having always participated in every AGG World Championship and always having reached the finals. Mrs. Koop has recently initiated the bi-annual “Four Continents Championship for AGG”. In 2017, Mrs. Koop was honoured to receive the Dr. Gene Sutton Memorial Award by Teresa Orr, of Gymnastics Canada. Also in 2017, Evelyn began discussions with her coaches on the benefits of Rhythmic Gymnastics in helping young people with autism. In September 2018, Evelyn will bring her new program, “Koop In The Kommunity” to these youngsters, helping them to grow and work towards possible participation in future Special Olympics. Judging by past experiences, Evelyn has achieved a great deal. Today, she continues to expand and develop her beloved Rhythmic Gymnastics in ever-new directions, respected and admired by all.